â€¢ Shows events on a hours grid. â€¢ Swipe up and down to change month. â€¢ Tap and hold on a day to quickly add an event (6:00-23:00 or all day). Also added support for individual event’s colors. Simple and clean widget designed to be a primary lockscreen widget. 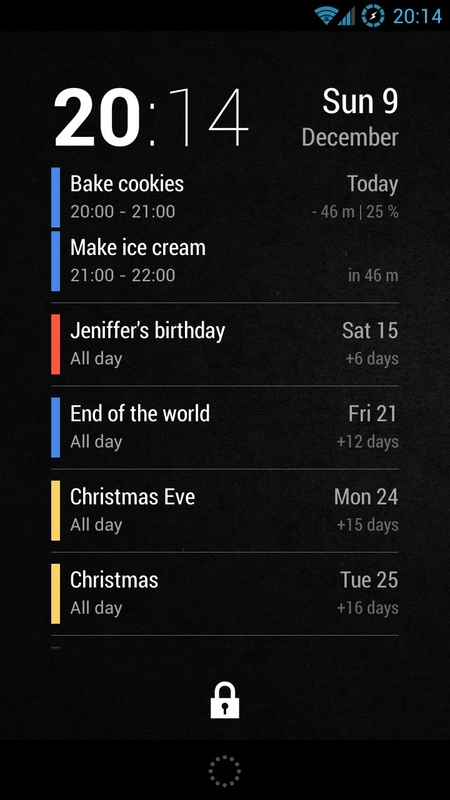 It shows current date and time together with events from your Google calendar. 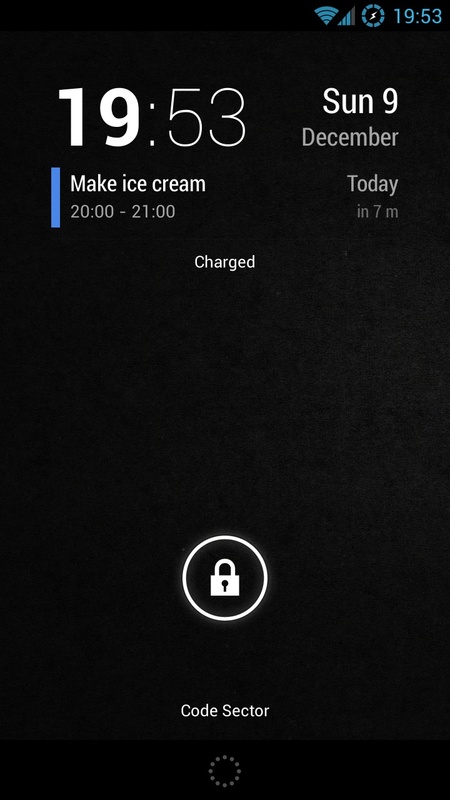 Swipe down to expand the widget to the entire lockscreen. â€¢ Shows number of days/minutes to event. â€¢ Tap on time to launch Clock app. â€¢ Tap on date to open Google Calendar. 1. Swipe lockscreen to the left until you see a big [+] icon. 2. 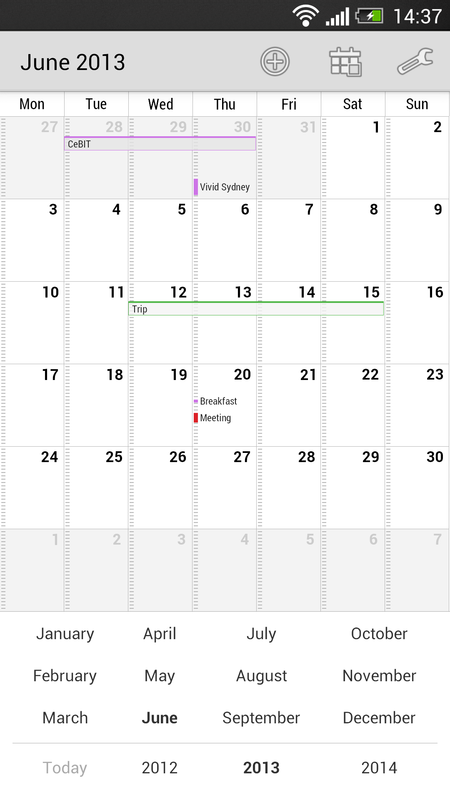 Tap on the icon and select ‘Neat Calendar’. 3. Tap and hold on the widget and move it to the left of the camera screen. 1. Open widgets list in the app drawer. 2. 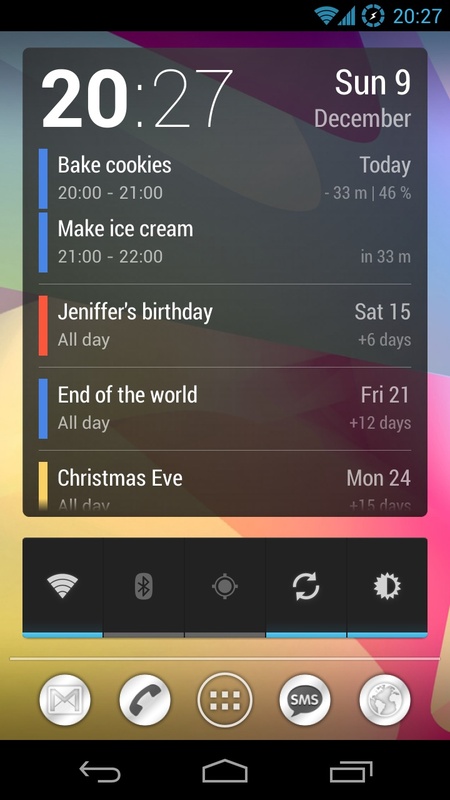 Tap and hold to place widget on the desktop.